The Association of Bermuda Insurers and Reinsurers [ABIR] hosted Appalachian State University students for a 1-hour primer on how Bermuda has become one of the world’s most important reinsurance centers over the last 25 years. 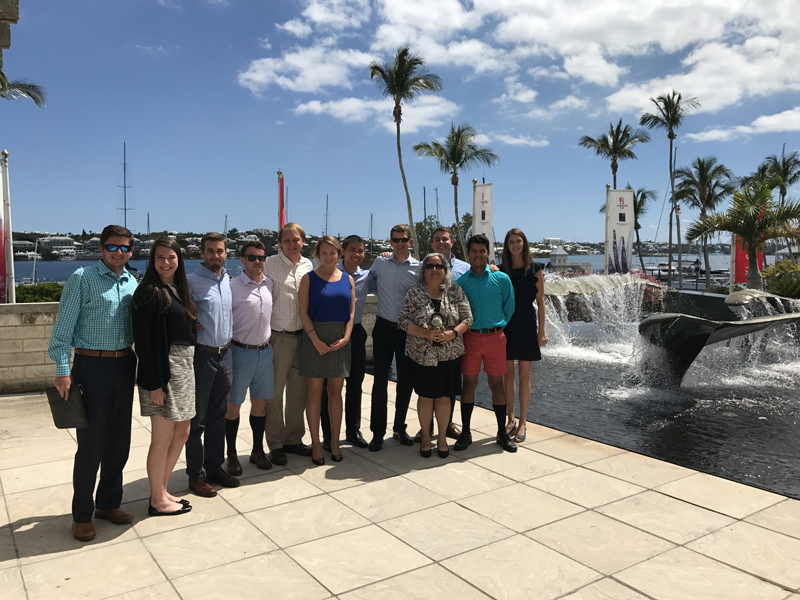 The students were taking part in the Brantley Risk and Insurance Center’s ‘International Markets’ annual May circuit to Bermuda. The visit to Bermuda is led by David C. Marlett, the Center’s Managing Director and Faculty Director, Wilson Scholars Program.